Silk pillowcases are beautiful to sleep on. They also benefit hair and skin. 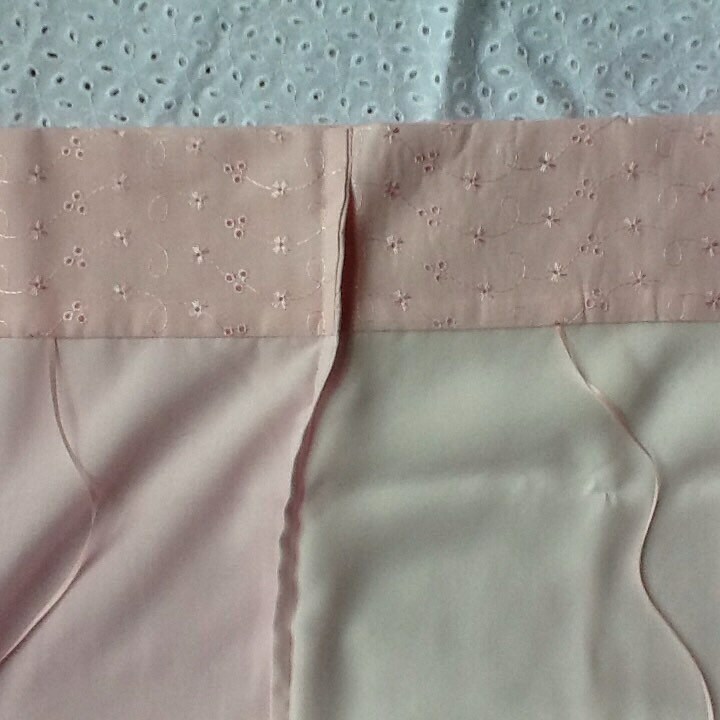 Regular cotton pillowcases wick moisture from skin and can cause 'bedhead' in the morning due to friction. Since I have been using silk pillowcases my hair is in much better condition. Even my hairdresser has noticed and now sells my pillowcases in his salon. 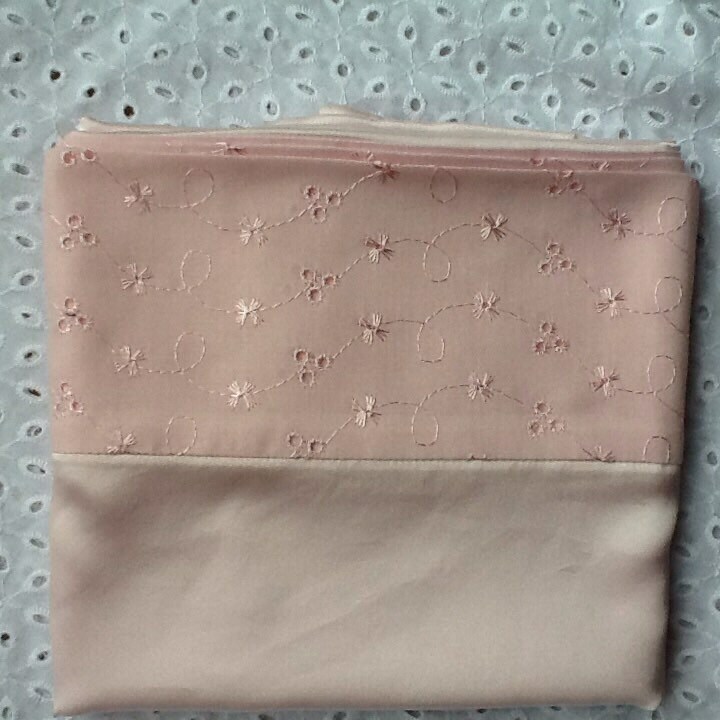 This pillowcase is a very pale pink with a baby pink top border in broderie anglaise. 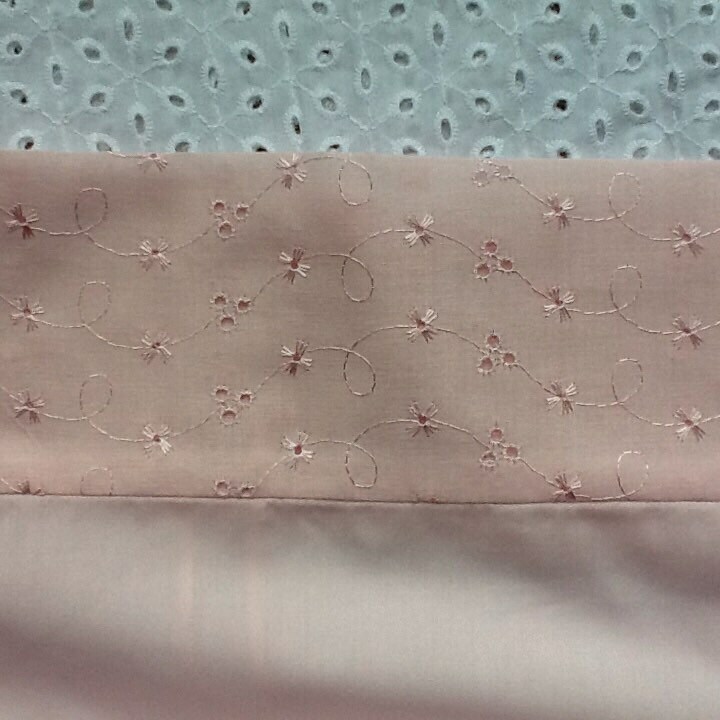 The top of the pillowcase is 19 mom me charmeuse silk, whilst the bottom is cotton. This stops the pillow slipping on the bed. 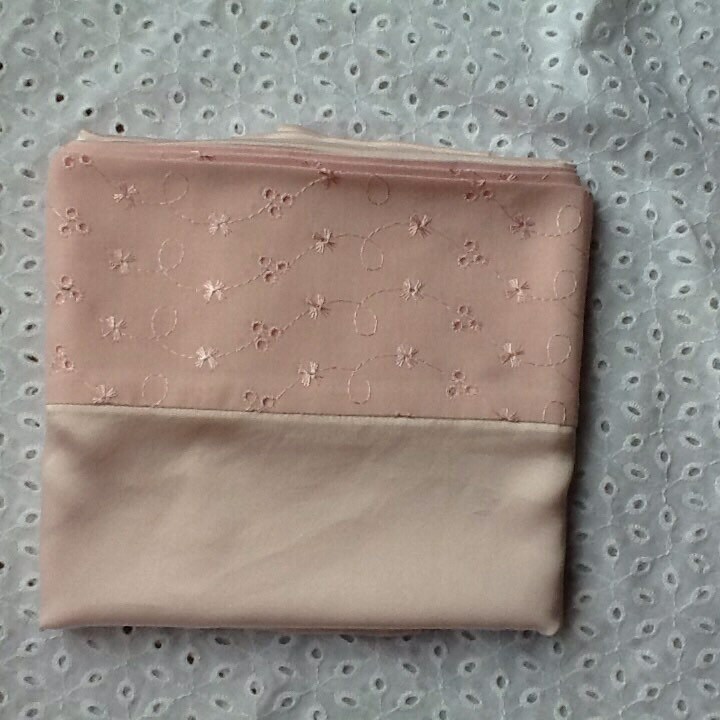 The pillowcase measures 20" x 30" which fits most pillows. However please contact me if you need queen, King or European sizes. Once you have tried silk pillowcases you won't want to go back to cotton. Although they need a little extra care they are actually quite hard wearing. I wash mine on a silk/wool wash in the machine with a gentle detergent like Ecover for delicates. Never tumble dry them or wrong them out as this will distort the fibres. They are very quick to dry. These make a delightful present for someone special and they will certainly thank you for them.